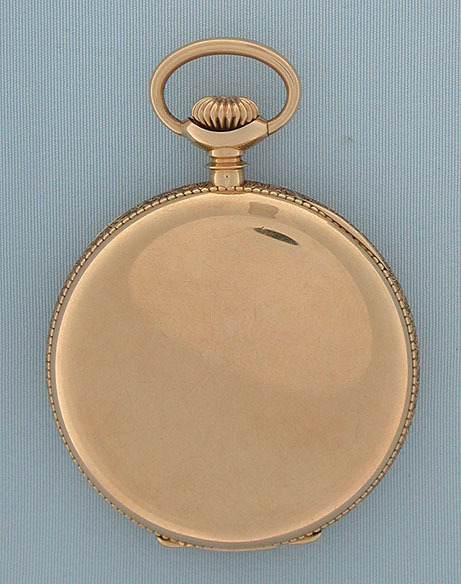 Fine 14K gold Vacheron & Constantin antique pocket watch circa 1910. 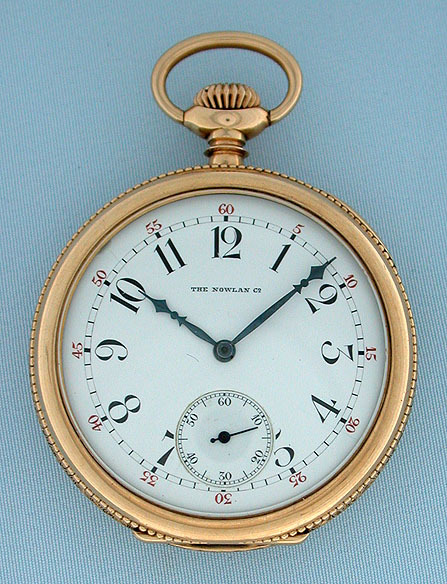 White enamel dial (clean hairlines and edge chip under the bezel) with bold black numerals, red 5-minute markers, and fancy blued steel hands. Plain polish case with beaded edges and textured band. 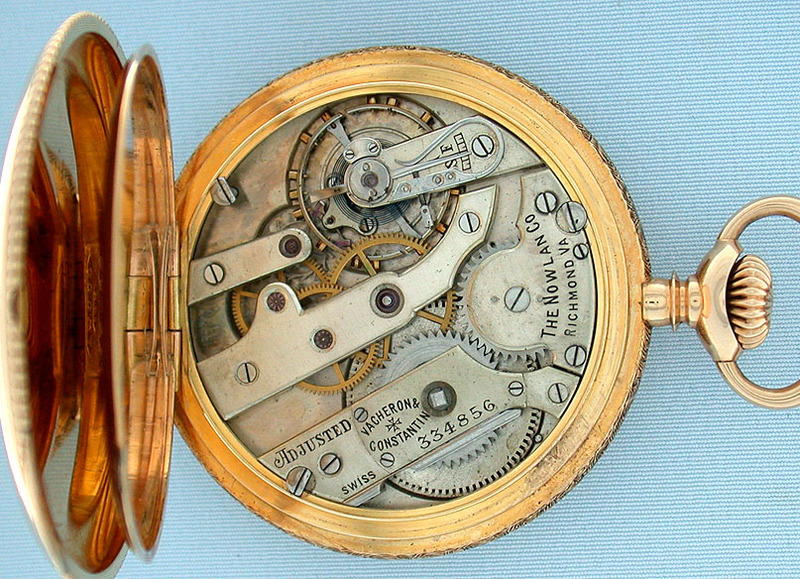 Nickel 16 jewel adjusted movement with wolf's tooth winding and precision regulator.